Apple hardware lasts so long, you’ll eventually have to sell it it pass it on. Research the local price of similar items, and use that to set your selling price. You may think your old iPhone is still worth 90% of what you paid for it, but pricing too high will mean goes unsold. Keep your accessories, and clean them. Always keep your iPhone’s original packaging, and if you don’t need them, leave the charger and cables in the box. This makes a much more attractive package for the buy. And clean everything before you photograph it. Take good photos. Take your own photos, and make sure they’re good — free of distractions in the background, sharp, and well-lit. Don’t be lazy and use photos from Apple’s site. Make sure to photograph any dents, scratches, or other damage. Honestly up-front will bring trust from the buyer. Write a good ad. This means making the sale personal. You’re not just selling an iPhone — you’re selling yourself, as a trustworthy buyer. This includes mentioning any dents and defects, and maybe describing the item a little. Don’t go crazy, but a little personal detail lifts your ad above those that just copy and paste specs. We’ll totally buy your old beaten up phone from you. This is the easiest option for selling. You might not get the same price as you would selling privately, but you don’t have to haggle, or deal with that wretched hive of scum and villainy that is Craigslist. Cult of Mac’s Buyback service will take your iPhone, no matter what state its in. Did you run down the battery so it barely holds a charge, smash the screen, and then drop the handset in a filthy toilet? No problem! You’ll still get like $50 for an iPhone 7 in such a state. And a pristine model will get you hundreds more. 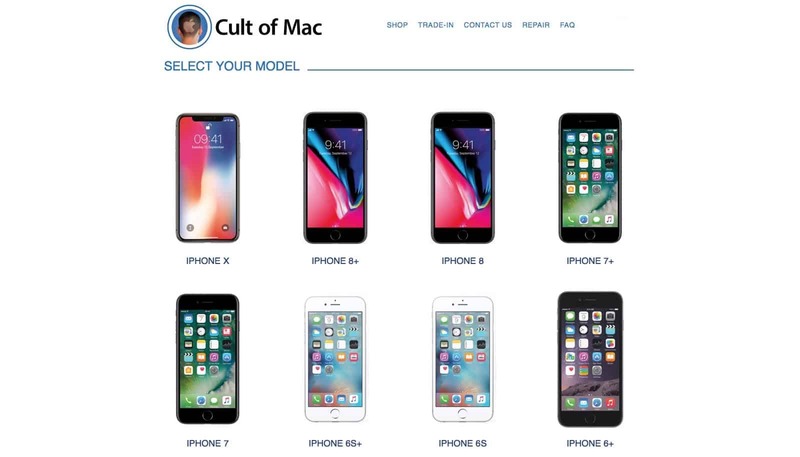 Check out the Cult of Mac Buyback program to sell any Apple device. This is a favorite. If your old iPhone isn’t really worth enough to make selling it worth your while, you can pass it on. Many folks who get the new iPhone every year will pass their old handset onto a spouse, or a family member. Over the years, this means that several people can get use out of an iPhone, and all of them get a new model every time you do, thanks to the famed longevity of Apple hardware. 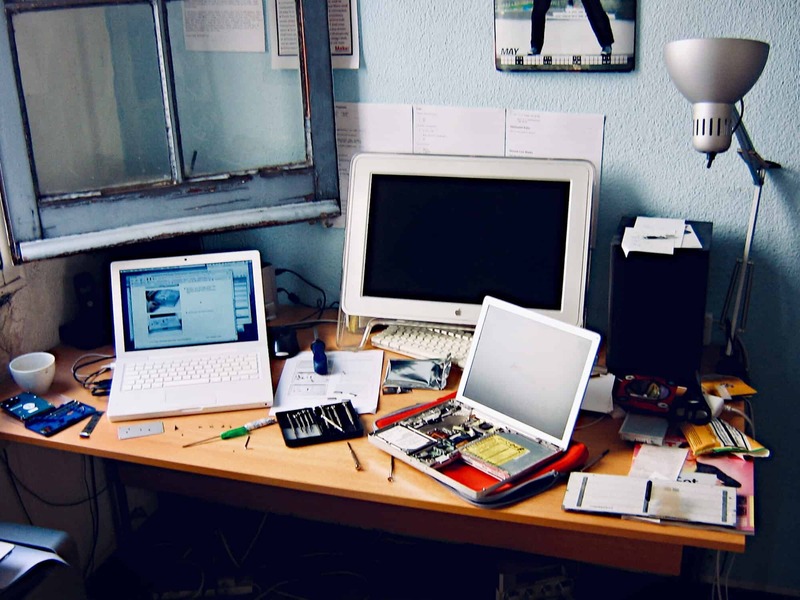 Passing on old hardware can also act as a “recruitment” tool. Maybe you give an old iPhone to that uncle who is too cheap to buy anything other than a crappy Samsung phone, setting him on the path of Good. I gave my original iPad to my mother, and she’s been an enthusiastic iPad user ever since. I think she’s on her third unit now. I’ve tried this kind of thing in the past, but it never really works out for me — usually I give old hardware to family members, so anything I still have laying around is usually too old and slow to be useful. 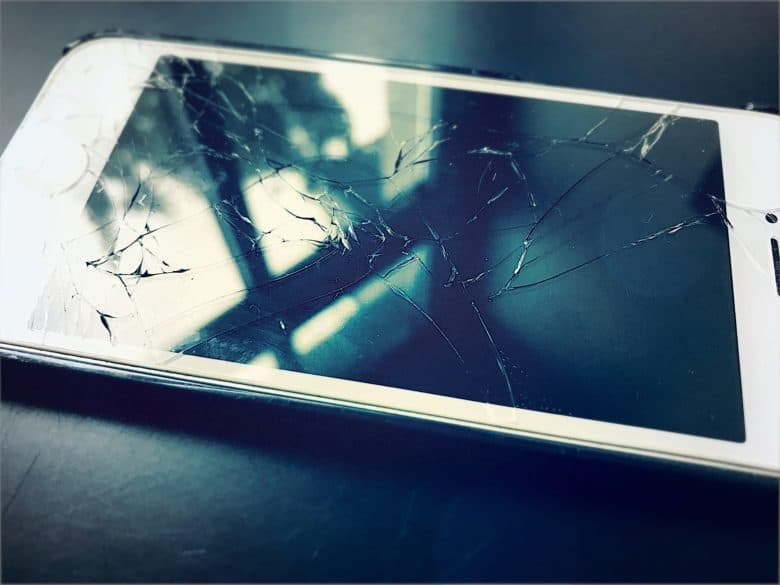 If your device is really dead or useless, you can just hand it in to Apple and it will be recycled, keeping it out of landfill, and reusing some of those precious materials contained within. You can trade your old device in for a gift card, and Apple will take all kinds of gadgets, from iPhones to Blackberries. Not everything warrants a gift card from Apple’s Giveback program. For things like old hard drives, Apple will send you a prepaid shipping label, so you can send the device in for free recycling. As you can see, your old iPhone is almost definitely worth something to someone. Don’t just leave it in the back of a drawer, slowing dying, or aging until it’s useless to anyone. Gove it to a local kid, recycle it, donate it to a local community project. Or sell it. Just do something. At the very least, it will assuage your guilt over always buying a brand-new iPhone very year.